. SPROTEK 32pc Precision Screwdriver set. 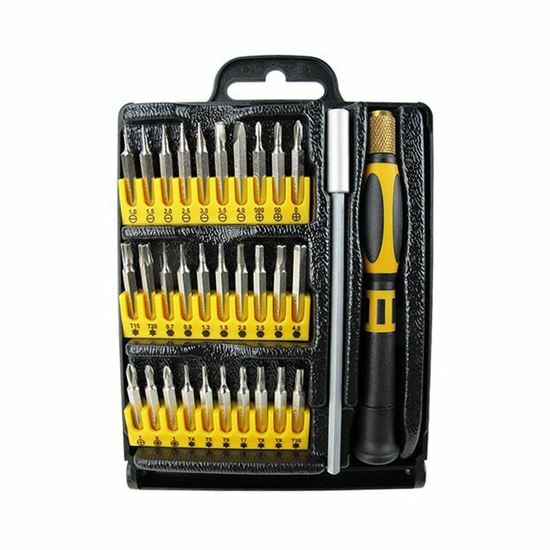 SPROTEK 32pc Precision Screwdriver set. This is the complete set for driving and retrieving very small screws. Includes a handle, extension shaft and drivers in tiny sizes. Fingertip swivel gives you outstanding control. You can adjust the length of the drive shaft to match it.